With more than 10 years of experience providing businesses with telephone systems, Houston Business Phone System knows that there have never been more options. With the meshing of computer and telephone systems, features have been developed that allow businesses to increase productivity and expand their workforce. If your current system is five years old or more, it’s not giving you the same advantages as today’s products could. Technology changes fast, and Houston Business Phone System understands that keeping up can be challenging. We have experience working with interdependent and complex products such as multi-vendor applications and systems. We rely on technology for most of our activities today, but we can’t rely on it to know or care about our businesses. That requires people, people who are knowledgeable both about your business needs and the technology you’re using. Houston Business Phone System is experienced in directing companies along the two main paths they can take. At Houston Business Phone System, we help our customers make the best choice in telecommunications systems for their business’s needs. We have a suite of virtual, IP Phone system, PBX and premise-based solutions. We also offer more traditional systems that connect to the PSTN, or public switched telephone network. An additional option is to combine these. Many businesses at the mid-market level are suffering due to the infrastructure of expensive, antiquated proprietary networks that can’t facilitate exchanges with other networks. This causes your system to be hard to scale, manage and secure. We have answers to this problem. Houston Business Phone System can help you select and install either a small or more expansive networkable phone system. 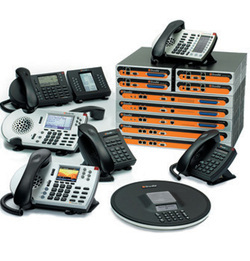 We offer the old and the new models from top companies like Mitel, Bizfon, Vodavi, NEC, Panasonic and more. We offer the convenience of providing quotes on all our quality systems. Those in need of user manuals for old telephone systems can go to our website and download manuals at no cost.